I believe that a great addition to a garden is CHICKENS! 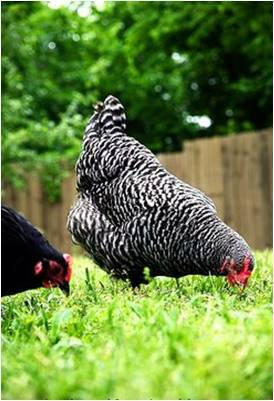 A few laying hens can form a symbiotic relationship with your garden and family in the following ways. Vegetables and eggs go together in all kinds of recipes. 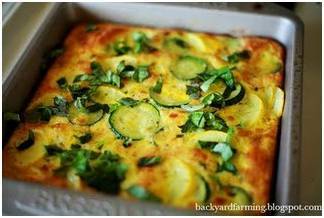 Try vegetable quiche for breakfast, garden salad with boiled eggs for lunch, and squash & egg frittata for dinner. Nearly all the ingredients for these recipes can come from your garden and layers. Your table and garden scraps can be recycled through your layers. They miraculously transform most types of vegetable matter into nutrient-dense, flavorful eggs and the litter gathered from underneath the roost and in the chicken run can add fertilizer value to your compost that will end up on your garden. A garden and layers are a wonderful way to teach your children biology, ecology, economy, and responsibility. 1. Check your local ordinances. If chickens are not allowed, then get the ordinances changed like many people across the country. 2. Warm your neighbors to the idea. A few well-kept hens don’t stink. They don’t attract flies. And unlike roosters, their temporary cackling in the morning after they lay an egg can be quite pleasant. Seal the deal by sharing eggs with your neighbors. 3. Do your research. Get on the internet and search “urban chickens”. You will find all the information you need. 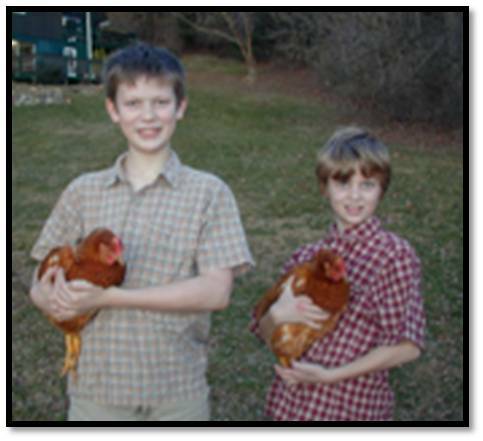 Or go to http://backyardfarming.blogspot.com/search/label/Chickens for dozens of interesting articles. 4. Be warned, there is a problem in deciding what to do with them when they quit laying eggs after couple of years. Will they be pets or will they be stewed? I don't know of any organizations in Maryland. It is eaiser to get ordinances changed if you have a group of people or an organization. Maybe you could start one yourself if you could identify some like minded people. What county do you live in? I live in Prince George's County, in Mt. Rainier, and I know there would be some interest among residents if we had an organization. I am considering starting a group if there isn't already one, but would definitely like to know if there is!